It was taken in front of the big house on White hill in Hanover Illinois. 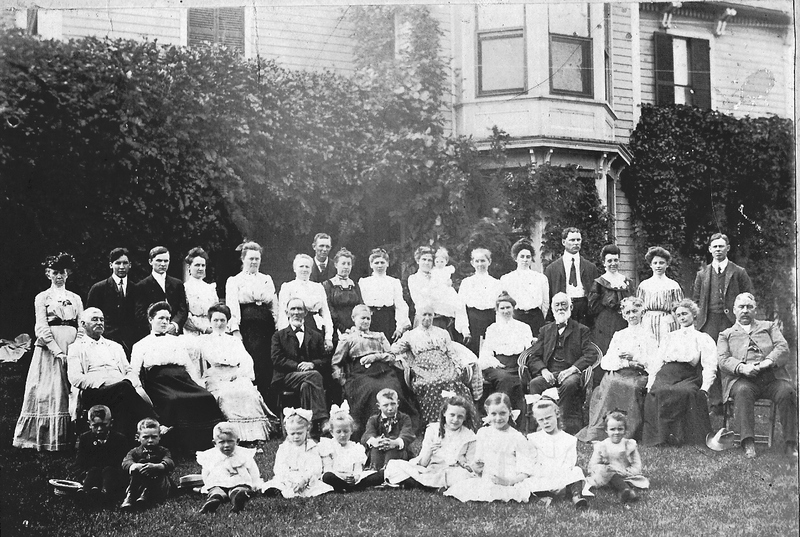 My great-great grandfather James Whitney White is the fourth in from the right in the middle row. He has a white beard and is sitting in the only chair with arm rests. I will need help identifying the rest of the family. The man in the top row -- 4th person from the right is Herb White. It looks like J. W. still had the get up and go to run the Woolen Mill.